Write from the hand. Right from the soul. 25 years ago, a young 15 -year-old Brian LaViolette picked up a ballpoint pen in the summer of 1992, he jotted down ‘’The Journey Is The Reward’’ on a 3 x 5 card. We never realized that those poignant words Brian cherished would ultimately be the inspiration for the foundation that bears his name. Bringing us back to ballpoint pens in a world of smart phones and tablets, the pen is a tool that makes our civilization human. We believe that without pen to paper, great ideas would be forgotten. History, could be forgotten. Great achievements would lack humanity. Milestone moments – parents signing a birth certificate, students penning a driver’s license, college application, marriage license, military oath, homeowner’s paperwork – all share a signature. This poetic reality influenced the initiative behind the exclusive LaViolette Silver Anniversary Pen from the Brian LaViolette Foundation. We’re pleased to introduce a new program in partnership with Riteline Writing Instruments of Dallas, TX. The LaViolette Pen, in classic black with silver highlights, will write new chapters for you, and for future generations. Your brand, company logo or personal statement will be put in the hands of people who are accomplishing great things in their personal and business lives. At the same time, you will help build an endowment that enables Brian’s Foundation to carry on for generations. This exclusive pen will reward the hard work and community service each Brian LaViolette scholarship supports. Together, we can assist students on their educational journeys as they continue to make positive and everlasting marks on this earth. Call us and find out how your brand, your company your logo or your very own inspirational statement can be put in the hands of people who are accomplishing great things in their personal and business life at the same time you will be helping to build an endowment that will enable Brian's Foundation to carry-on for generations to come. You will be in good company. We are proud to share with you, these Friends of the Foundation who have signed on as our very first sponsors in this nationwide program. “Our experience ordering “Pens for a Purpose” for Nueske’s Applewood Smoked Meats, was fast and easy. 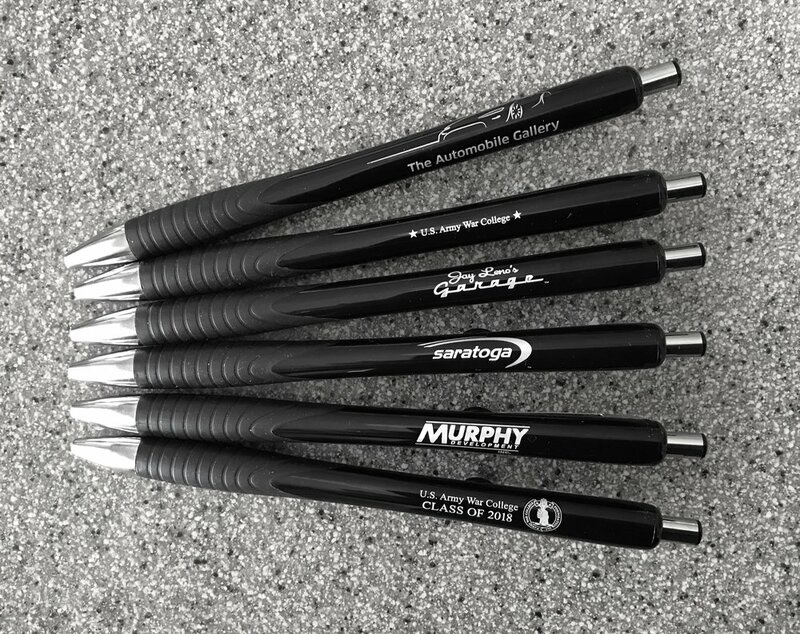 With each pen we share, we are supporting the achievements of hard-working scholars through the distribution of the Brian LaViolette Foundations’ scholarship programs. The pens look slick and write with super-smooth ink flow. Bob Weyers of Commercial Horizon’s simplistic message is a reflection of the amazing opportunities that can come your way, if you are open to approaching projects in a positive way. Such a simple three-letter word can open many doors in life. 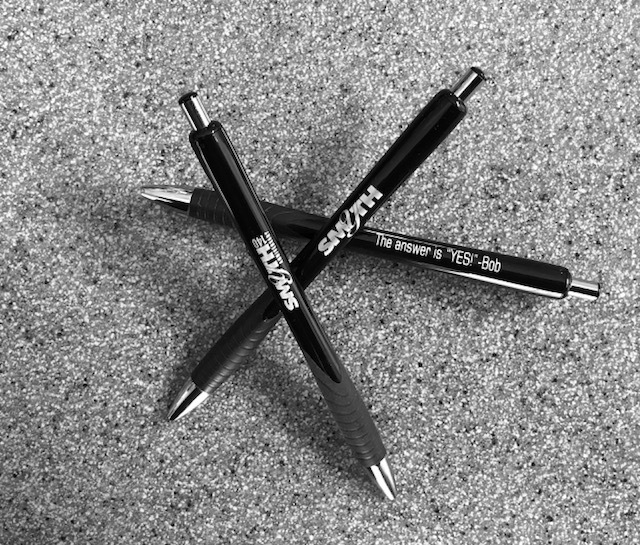 Whether you are sharing a message like Bob or you’re celebrating a 140th corporate anniversary, like Smyth Companies, these pens will make a positive lasting impression.